Call Us Before You Call Your Insurance Company, So We Can Tell You the TRUTH About Your Claim! Advocate Claims Public Adjusters has been in the insurance claims business for over 17 years years. 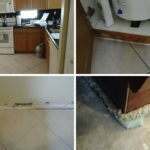 By using our insurance adjusting services, you will be represented by over two decades of experience in hurricane claims, fire damage claims, water damage, mold claims and more. RESIDENTIAL & COMMERICAL INSURANCE CLAIM EXPERTS! We are experienced in residential insurance claims, as well as commercial insurance claims. With thousands of settled claims and happy customers behind us, we know we can help you with your insurance claim. We have a proven track record of clients that will show you how much easier the insurance claim process can be, by using Advocate Claims Public Adjusters in Palm Beach! Advocate Claims Public Adjusters is a licensed Florida public adjuster. We provide personal service and use our extensive background knowledge and experience to help you with your claim! We can save you the hassle of dealing with the insurance company and the endless paperwork, and get you the maximum amount for your damages through expert negotiations! 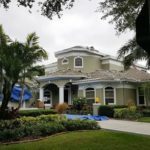 Call Advocate Claims Public Adjusters for property insurance claims throughout Palm Beach, West Palm Beach, Delray Beach, Boynton Beach, Boca Raton and more. The company founder, Steven D. Venook, graduated from the University of Florida. He founded Advocate Claims Public Adjuster in 2002 to serve the areas of Palm Beach, Boca Raton, Delray Beach, Wellington and other surrounding areas. Mr.Venook began his insurance career doing field-claims, and later worked as a supervisor for a large insurance company. During these years, he handled thousands of property damage claims. By gaining his experience as an insider in the industry, he knows how to help you with your claim, and get you the best settlement possible!